No winners today but Rouge Vic and Emitom came close. I should have stuck to my view that some of the Cheltenham runners would not have sufficient time to recover. The truth is that, unsurprisingly, some of them have and some of them haven’t. The ground has also turned out to be nowhere near as testing as I expected. It is mainly sandy loam which has the ability to dry out very quickly. Jockey news is that Barry Geraghty suffered a suspected broken leg following a fall in the Topham. He was due to ride Forza Milan in the 1.45, Unowhatimeanharry in the 3.40 and, most significantly, Gold Cup runner up Anibale Fly in the National. In light of the inherent greater than usual unpredictability, I’m going to keep it really brief. Pertemps winner Sire Du Berlais is the current favourite at 4/1, 10/1 bar. Now that was a hard race so I am going to look elsewhere. Mia’s Storm* (e/w) fell twice last season but they were in chases and otherwise the form looks really good (1111FF-11), albeit not at the highest level. 16/1 looks to me like a really good each way option. She’s returning from a 131 days’ break which I regard as a plus. The form of Brewin’upastorm* (11/4) and Angels Breath* (7/2) is comfortably ahead of the rest and that’s reflected in the betting. However, both failed to live up to expectations at Cheltenham (Brewin’upastorm fourth in the Ballymore and Angels Breath seventh in the Supreme). Champ was second in the Ballymore and won really impressively today. Fakir D’Oudairies, Felix Desjy and Aramon were all ahead of Angels Breath and all have performed well this week, particularly Felix Desjy who won the Grade 1 Top Novices’ Hurdle this afternoon. I can’t choose between or beyond them so, unusually for me, I’m going for a reverse forecast (1st and 2nd in either order). The bare form of Us And Them** (11/4) when second in the Arkle (13 lengths behind Duc Des Genievres) and second to Le Richebourg in his previous two races, is impressive and the best on offer. Clondaw Castle and Knocknanuss were fourth and fifth in the Arkle, in which Lalor was pulled up and Ornua fell. Lalor can’t be supported until he shows a return to form but could bounce back. Destrier and Caid Du Lin have yet to prove themselves at this level. Overall I think that it’s between the selection and Ornua. What do we do with Apple’s Jade? Sixth of seven finishers in the Champion Hurdle, the bubble well and truly burst, but that’s not the only time that has happened at Cheltenham. Significantly, she has shown the ability to bounce back and prior to the Champion Hurdle she had won all her outings this season (three Grade 1s and a Grade 2). She was not overly exerted when beaten and there is no problem with the longer trip. I expect her to win well. Sam Spinner showed a remarkable return to form when runner up to the brilliant Paisley Park in the Stayers’ Hurdle (Wholestone fifth) but the overall form suggests that this may have been a one off in terms of recent form. Roksana (winner of the Mares’ Hurdle) and William Henry (winner of the Coral Cup) are both decent horses but some way behind the favourite at her best. On balance this looks like the ideal opportunity for Apple’s Jade**** (15/8) to resume her winning ways, and at a tempting price. A word of warning. As far as I can remember I don’t think that I’ve ever selected the winner of this race and I don’t expect that to change this time around. Kildisart** (7/1) ran well in the JLT at the Festival, coming fourth behind Defi Du Seuil, Lost In Translation, impressive conqueror of Topofthegame in this afternoon’s Mildmay Novices’ Chase and now being touted for great things, and Mengli Khan, who ran well in third in the Manifesto Novices’ Chase yesterday. It’s a mystery to me why Debece (6/1) is the current favourite on the strength of two Class 4 wins this year at Newcastle and Catterick. Perhaps he’s been primed for this, but I can’t have it. Mister Malarkey is a much better proposition, taking into account his Grade 2 win in the Reynoldstown at Ascot in February and his fourth at 20/1 in the RSA, albeit some way behind the first three. It would be easy and obvious to select Tiger Roll (9/2) and I really hope that he wins. As I mentioned in the Cheltenham preview, his CV is nothing short of spectacular and a repeat victory will make him one of the all time National greats. However, I’m going to pick a few alternatives. Trevor Hemmings and the Grand National are synonymous and we know that he acquires horses with the primary intention of having them run in this race. Winner of the Rowland Meyrick and a creditable third at 25/1 in the Ultima, this horse is very progressive and seems to have had an ideal build up. It’s the first time that he’s been tried at this distance, but the same can be said for many of them. I suspect that this has been the plan for for this 9-y-o for at least a couple of years. Officially rated just 5lbs behind Tiger Roll, this one won the 4-miler at Cheltenham last season. His only outing to date this season was when winning the Grade 3 Bobby Chase at Fairyhouse in February and he is a top quality candidate for the Mullins/Walsh combination. He’s another who has almost certainly been laid out for this race and it’s interesting that he’s Ruby’s only ride of the day. He also has a very fair weight (11-00). Definitely the biggest challenger to Tiger Roll in my opinion. Another for Trevor Hemmings, he was placed in the Scottish and Welsh Nationals last season and was second in the Ultima at Cheltenham, his only race this calendar year. Another one that has undoubtedly been aimed at this for a long time. This one has only just got into the race and therefore runs off bottom weight (10-02). That’s not bad for last year’s winner of the Scottish National (in which Vintage Clouds was third). Not much to say about this so I’ll just point out that Ludlow winner Flashing Glance is the Timeform selection at an appealing 16/1. Overall Thursday was very moderate on the tipping front with Glen Forsa pulled up, Band Of Outlaws very disappointing and Buveur D’air turned over by Supasundae. However, the Betway Bowl went very much to plan with Kemboy’s victory and The Glancing Queen was an impressive winner of the mares’ bumper. The most notable feature of the day was the ground which was very stamina sapping. It’s been raining constantly since racing finished and I see this as a major factor for the next two days. It makes the short gap from Cheltenham even more relevant. Friday’s racing is not up to the standard of the opening day and includes several wide open races, so I’ll confine myself to brief selections. I think that Paul Nicholls might have a good day. Tedham is the right favourite but I prefer both of the Paul Nicholls runners, Brio Conti (13/2), fourth in the Coral Cup, and Mont Des Avaloirs* (12/1), who should benefit from having swerved Cheltenham and represents excellent each way value. Favourite Itchy Feet (7/2) was an impressive third in a strong renewal of the Supreme Novices’ Hurdle. Aramon (4/1) was only just beaten by Supreme winner Klassical Dream at the Dublin Racing Festival but could only manage sixth in the Supreme. However, I’m avoiding the Supreme runners and siding with the highly progressive Precious Cargo (4/1) (Henderson/de Boinville) and, just on balance, my selection Rouge Vif *(11/1), a Grade 2 winner chasing a three timer with form on proper soft ground. Although I’m contradicting my advice about Cheltenham Festival runners, I can’t look past hot favourite (4/5) and RSA winner Topofthegame***. This is only his fourth run of the season and he seems to be well ahead of the opposition while remaining open to further improvement. The feature race of the day has attracted an impressive field. For me, Waiting Patiently, second to the mightily impressive Cyrname in the Grade 1 Ascot Chase is too short at 13/8, having his first run at Aintree. I was really impressed with Politologue’s*** (9/4) second to the best National Hunt horse in training, Altior, by just 1 3/4l in the Champion Chase, a race in which Min was fifth. Politologue won this race last year, just beating Min by a neck. So I’m contradicting my Festival runners’ advice again but I think this horse has improved this season and has the perfect profile. I’m struggling to make a selection for this race so I’m just going to go with a horse that I’ve followed, San Benedeto* (18/1), who seemed to have recovered his form when impressively winning the Grade 3 Greatwood Chase at Newbury on 2 March. This is his first attempt over the National fences but in a 38 race jumps career he’s only unseated once when reaching for a fence at Cheltenham in a novices’ chase. I think he might just have a bit more overall quality than his opponents. This is another open race but I think that there’s a strong case for siding with the unbeaten Emitom** (4/1), chasing a six timer, albeit that this is by some way his toughest assignment yet. He has form on soft and should benefit from a 35 day break. Champ is the most serious opponent, second in the Ballymore. However, he’s not been tried at this distance and that, along with the prevailing ground, deters me. Even by bumper standards, it’s hard to know what to make of this lot. The last five winners of this race have been returned at 25/1, 33/1, 25/2, 11/2 and 14/1 so it’s one to approach with considerable caution, particularly when adding the ground factor. However it can also throw up a very good winner (Barters Hill in 2015, Bacardys in 2016 and Lalor in 2017). I won’t be having a bet but my selection is Santa Rossa* (currently 100/30 second favourite). The first matter of note for this year’s Grand National Festival is that it seems that we will have decent ground, neither to fast nor too slow. As at 9.30 a.m. on Wednesday the going was good to soft on the Grand National course and good to soft, good in places on the Mildmay and hurdle courses. *UPDATE After further rain this afternoon the ground is now good to soft, soft in places (National course) and good to soft (Mildmay and hurdles courses). 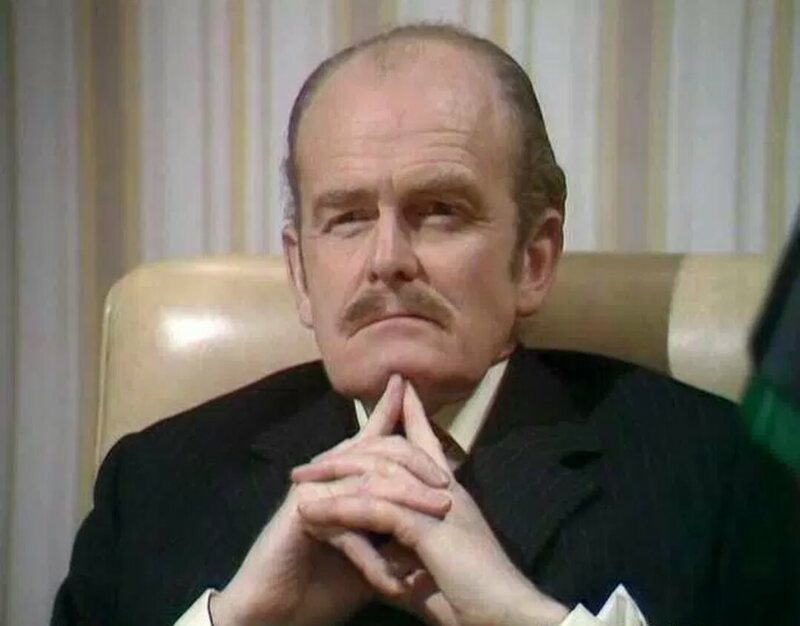 I confess that I haven’t spent much time following the build up to this year’s National Festival so I’ll confine myself to fairly brief comments and selections. I know I say it every year but the first day of the meeting is a treat for true racing fans. The first four races are all Grade 1s (which you don’t get at the Cheltenham Festival) and they’re followed by the Foxhunters’ Chase with amateur riders taking on the unique Grand National fences. Although we only have six runners, this is an intriguing race to set the ball rolling. Not seen at Cheltenham and chasing a five-timer following an impressive win at the Dublin Racing Festival, she is a serious candidate, who is top-rated and benefits from the 7lbs mares’ allowance. This is another one that swerved Cheltenham. He didn’t beat much in the Pendil Novices’ Chase and was well beaten (5th of 7) behind La Bague Au Roi in the Kauto Star Novices’ Chase. I’m looking beyond this one to find the winner. This was my selection for the Arkle but he unseated his rider at the 4th. I’m willing to give him another chance. 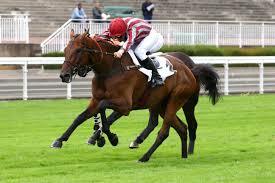 He’s progressive and the Timeform highest rated behind La Bague Au Roi (5 lbs difference and both have “small ps” (i.e. progressive)). I also think that the course will suit. Unseated at the 6th in the Arkle, having been routed by Glen Forsa on his previous outing. Unconvincing this season and best watched. Has been a serial underachiever this season and has simply not progressed as expected. Is a fair enough horse but is likely to find two or three too good for him at this level. Realistically, unless they’re not fully recovered from their Cheltenham excursions, this is between the three market leaders. Largely unheralded (20/1) winner of the Triumph Hurdle, benefiting from a particularly good ride, he is unbeaten over hurdles but his only other jumps race was a maiden hurdle at Plumpton. I think that the price is too short. Went off 9/2jf in the Supreme and there was a lot to like about his 4th, particularly the way he was staying on. I think that the price is fair and it is conceivable that there is more progression in him. A big race victory would be welcome for the connections (O’Brien/McManus) who tragically lost Sir Erec in the Triumph. This one is also trained by Joseph O’Brien and brings winning form from the Festival (Fred Winter 7/2f). He’s also chasing a four-timer. I think that the current 15/8 is excellent value. Outside these three we are currently 10/1 bar, with a couple at 25/1 and the outsider at 33/1. In my view they are a long way behind the leading contenders and should be completely disregarded. On the face of it, this is a really classy race, comprising four participants in this year’s Gold Cup and two from the Ryanair. However, that is precisely the reason for exercising considerable caution. The gap between Cheltenham and Aintree is shorter than usual (20 days for the Gold Cup participants) and I don’t think that anyone would dispute that the Gold Cup is a tough race which often leaves its mark. Of the Ryanair runners, Road To Respect is way too short at 11/2 and Balko Des Flos is not a top order horse, as reflected by his current 33/1. So let’s take a look at the Gold Cup runners. By common consent (including Paul Nicholls) he didn’t stay the 3m 2 1/2f of the Gold Cup and this 3m 200y on a flat galloping track looks ideal. A young horse (7-y-o although all these are 7 or 8) I don’t think that he was pushed too hard when clearly beaten and might therefore have the recuperative powers to bounce back. I warned about this one’s suspect jumping before the Gold Cup and, sure enough, he unseated at the first. However, that means that he wasn’t subjected to the energy sapping challenge of the race and comes here fresh. The Mildmay fences are fairly stiff but they are very fair and hopefully this small field will help him to keep out of trouble. A very tentative selection. Perhaps he can smell the Haydock air from here?! Beaten by Might Bite in this race last year (Clan Des Obeaux third), critically he didn’t run at the Festival and was on the back of a three months’ break when putting up a good performance. This time round he was hard ridden to secure an impressive third in the Gold Cup. He’s well known for running well fresh after a decent break so I can see the small gap of 20 days affecting him more than the others. For that reason I am bound, very reluctantly, to oppose him. Equally I would be surprised and delighted to see him bounding ahead and winning by 10 lengths but on this occasion it’s head over heart. This horse’s form is a great deal better than the price might suggest. He opened his account this season by winning an intermediate chase and followed up with a mightily impressive second in the Ladbroke (Hennessy) at Newbury. His next outing was in the Welsh Grand National which he won and was then a valiant second to subsequent Ryanair winner Frodon in the Cotswold Chase. His sixth in the Gold Cup looked like about the best he was ever likely to manage but was nonetheless creditable. Overall he’s had a hard season and I’m far from convinced that course and distance will suit. It’s very likely that he’ll find one or two who are, quite simply, faster than him in a race of this nature. This is the most valuable race of the day, with over £140,000 going to the winner. While the same caveat applies (that Cheltenham exertions may have taken their toll), I’ve decided that, based on the prices, this is the one in which we should take the betting plunge. Last seen when unexpectedly falling at the third in the Champion Hurdle. Nicky Henderson didn’t seem too concerned, pointing out that he is very low and fast over his hurdles, so there is a small margin between brilliance and disaster. As a result, like Kemboy in the Bowl, he can benefit from coming to this race fresh with the Cheltenham outing unlikely to have made a difference. He won this race in 2017 so the distance should not be a problem. While beaten in the Christmas Hurdle, I think that he has everything in his favour in this race and, as such, the slight odds on currently on offer is an outstanding double your money opportunity. Was a fine, fine horse in his day but has not recaptured the same level of form following a long injury break. Aged 11 and now over a shorter trip than is probably ideal, the best to hope for is a place. Second but beaten by 15 lengths in the Champion Hurdle (at 20/1) I can’t see him beating Buveur D’air after an uninspiring season. A fine stayer but was beaten in this race last year by L’ami Serge and has not won this season (7th in the Stayers’ Hurdle). A decent place option. This is the big opportunity for the amateur riders to take their chance over the National fences. As such it can be a bit of a lottery. However, it’s worth noting that the last five winners have been returned at 11/2, 16/1, 15/8f, 5/2f and 7/2. I was a big supporter of Road to Rome*** (4/1 > 7/2) who was chasing an eighth consecutive win in the Cheltenham Foxhunters’, ridden by Sam Waley-Cohen and came fourth. I think that the distance (3m 2 1/2f) did for him and his excellent jumping should see him to the fore in his first outing over the National fences over a distance which should suit much better. Burning Ambition (11/2) is a progressive 8-y-o. He was eighth of 24 in this race last year. Only 3rd in a P2P at Bellharbour in February, he’s not for me. Of the others, Kruzhlinin (11/1) is a 12-y-o and has moved from Philip Hobbs to Gordon Elliott for a hunting campaign, but has jumping issues. I don’t have any outsider options but advise against any of the other 12-y-os and definitely the three 13-y-os. I was reluctant to make a selection for this one and confess that I know very little about these horses. However, for the sake of going through the card I’m with what a think is a bit of value with Miss Heritage* (7/1 > 10/1), who was a wide margin winner last time out, albeit in a very moderate race at Catterick. The Glancing Queen (11/2), fifth in the Cheltenham Champion Bumper, has the best form and is respected. Thursday turned out to be one of the great days of recent Cheltenhams with excitement and big stories throughout the afternoon. We got off to a good start with Defi Du Seuil (3/1) and followed up with Paisley Park (2/1) and (most pleasing) Siruh Du Lac (8/1 when initially advised). Ladies Day was delayed by 24 hours this year with Lizzie Kelly’s win on Siruh Du Lac and, most significantly, Bryony Frost’s thrilling win on Frodon in the Grade 1 Ryanair (the first woman to win a Grade 1 at the Festival). So, on to Friday and another great card. The ground is holding up very well (Willie Mullins said that both Un De Sceaux and Footpad needed it softer) and it seems that the wind is drying the rainfall with no significant changes expected for tomorrow. The times have indicated genuine soft ground but more on the good than the heavy side. This militates against soft/heavy specialists but means that we can take most of the form at face value, as demonstrated by the spate of favourites winning, based on their performances this season. I’ve been following French website Equidia (who provide live coverage of the Festival in France) throughout the week and it’s been notable how, time after time, they’ve been pointing out that the winners have been French bred. You will see that theme in what follows. I mention this one only because of his place as second favourite in the betting. Also trained by Joseph O’Brien and in the same ownership (J P McManus) I see no reason for him to reverse the form, having been beaten by 6 lengths by Sir Erec when last seen out. This is an intriguing horse, making his UK debut for Paul Nicholls after performing at the highest level for Francois Nicolle, exclusively at Auteuil. His trainer describes him as “a gorgeous horse”, “a proper horse” and Timeform clearly agree with their rating of 166, just 1lb behind the favourite. This is probably my favourite horse of the season, although it’s a close run thing with Paisley Park. Imported from Guy Cherel last September, he has had the ideal preparation including two Grade 2s and a Grade 1 and is the epitome of a tough National Hunt horse. He has nothing to prove and, for me, is a confident selection at an excellent price (my only ante-post bet placed several weeks ago but still great value). Timeform rated 159. I don’t have any strong views about this race so I will follow the positive words in previews for Whiskey Sour* (Mullins/Walsh), who is unsurprisingly the current 11/2f. He was third in this last year and appears to have been targeted to go two better this time. Of the others, I’m interested in Monsieur Lecoq (11/1), second in the Imperial Cup last Saturday, Capitaine (14/1), beneficiary of a wind op and subsequent winner last time out and Countister (16/1), one of my selections last year when fifth in the Dawn Run last year, but hasn’t been seen since then so it’s another leap of faith. 3m (or, for pedants like me, 2m 7f 213y) is a long way for novices, so we’re looking for a confirmed stayer, particularly on softish ground. 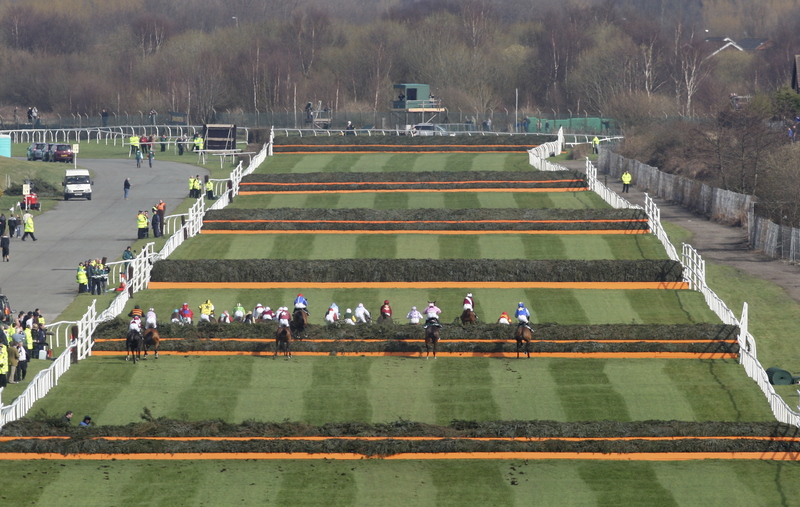 This is a race in which this year’s form on unusually good ground could make a difference. I think that this one could produce a long odds winner. The current favourite is Birchdale (6/1 > 9/2). I think that he’s a hype horse because of the connections (Henderson/JP) and I don’t think that his form is anything special. Commander Of Fleet (15/2 > 13/2) is second favourite. Gordon Elliott’s comments about him are illuminating. At the Betfair preview he said that he’s brilliant on the track but hopeless at home, adding that it is hard to be confident about him and saying he could be first or last. Lisnaghar Oscar is OK and has a better Timeform rating than the favourite but not one for me at all. Dickie Diver* (8/1) is one that will relish the trip but, again, is in the same ownership and with the same trainer as the favourite. I suppose that they wouldn’t mind which one wins and presumably wouldn’t be running him unless they thought that he had a chance. However, I should emphasise that this is a random choice, even by my standards! Joseph O’Brien rates Rhinestone (12/1) as having an each way chance and rates Gordon Elliott’s Dinons (10/1), as do I (e/w), particularly with Davy Russell on board. The enigma, and that covers both the horse and even more so the trainer. This has been a properly weird build-up. He ran three times in 2017, three times in 2018 and is chasing a three-timer at the Festival (Pertemps 2017, RSA 2018). He was beaten by Our Duke in the Red Mills in 2018 but that was probably over an inadequate trip (2m 4f). He’s won over 3m 5f on soft so his staying credentials are not in doubt. But, and it’s a big but, he’s had only one outing this year, over hurdles, and I’m not buying into the idea that this is a genius strategy. He could have run in two decent chases, including a repeat opportunity in the Red Mills, but didn’t. My take on that is that the horse needs properly soft ground and we haven’t got that (previous runs soft/soft/heavy/heavy/soft/soft-heavy). Could well win easily but will not have my money. In the same way as with Presenting Percy, I’m unconvinced that the ground is sufficiently soft for him to prevail at the highest level this time. It’s very hard to follow up on Gold Cup wins and, with the best will in the world, he’s not a Kauto Star or Best Mate. There’s no way that I would have selected this horse, even a week ago. However, I’ve been strongly influenced by the times of the races for the last three days (particularly on the New Course on Thursday) and there’s no doubt that he has the best profile, based on this season’s performances. I accept that there’s really nothing to go on with Presenting Percy but his King George win can’t be ignored and he has won on Haydock heavy over 2m 5f. Will he stay? I’m not absolutely convinced but he is, in my view, the best horse in the race and Nicholls’ current form can’t be ignored. I can see exactly why this one has attracted support, including from my shrewd friend Gerry Rooney, who notes that he’s Ruby’s selection ahead of the one Ruby previously hinted at, Al Boum Photo. Two of his last three outings include wins in the Punchestown and Irish Gold Cups but, in between, he was beaten by Kemboy, Monlaee (4th in the Ryanair) and Road To Respect (3rd in the Ryanair). WP is desperate for a Gold Cup winner but I don’t see this one delivering it for him, albeit I can well see him running into a place. This one is probably a stayer and won the Savills Chase. David Mullins keeps the ride but, for me, his jumping is against him and I don’t see him as top level. Another one that is just not top level. Nicky Henderson and Nico de Boinville both reported that he ran very well in his racecourse gallop but there’s no way that he can be supported based on his proper races this season. I’ve gone this far down the field because staying is the game and I think that this one should not be ignored. 2nd in the Hennessy, winner of the Welsh National and 2nd to Frodon in the Cotswold Chase, he’ll be staying on, even on this ground, when many others have given up the ghost. A sound each way option. I’ve surprised myself by selecting Clan Des Obeaux but I’m keen on Elegant Escape usurping Native River as the place option. Recent pointer Stand Up And Fight, owned by J P McManus and trained by Enda Bolger, is the big talking horse and current favourite for this race at 3/1. As a 7-y-o he could be absolutely anything. My preference is currently for two proper campaigners, Ucello Conti (4/1), a very taking winner of the Navan hunters’ chase against good opponents on 17 February, and my current selection, Road To Rome(6/1), a superb winner of the Walrus at Haydock on 16 February, whose form following wind surgery is 24321111111. This will be former winner’s Pacha Du Polder’s last race so I’m just hoping for a safe round for that one. Another that I’ll keep an eye out for is Shantou Flyer (7/1) who appears to have found his metier with new owner and man of the Hunters David Maxwell. I’ll take the 8/1 Road To Rome*** thank you very much. For me, the Festival finishes with the Foxhunters’ but I’ll put up selections for the remaining two races. Le Prezien* (9/1) is very well priced to repeat last year’s victory in this race. This race has produced future Cheltenham stars and my idea of that one is 6-y-o Dallas Des Pictons** (11/4f) for Gordon Elliott. He’s made no secret of the fact that he loves to win this race and has put him up as his pick of the week. Bear in mind that this was when Apple’s Jade and co were still to run. It was a better Wednesday with all selections for the last four races winning (admittedly all favourites). Altior was given a proper test, while bumper winner Envoi Allen looks very impressive. On to Thursday and an excellent card from start to finish. Defi Du Seuil*** (3/1 > 5/2) would not have been on the radar for me at the start of the season, but has developed into a really good chaser. A former Triumph Hurdle winner, I think that this is his ideal distance and he’ll have the best of the ground in the first race on the New Course since New Year’s Day. He was second to Lostintranslation in January but beat him on his next outing at Sandown. Real Steel is probably the best of the Willie Mullins trio but Ruby has chosen Voix Du Reve. Kildisart (9/1) is the best of the rest and could be a big improver. This is the usual lottery and the one that caught my eye is Joseph O’Brien’s Thermistocles* (12/1). He’s been aimed at this race. I can see why Sire Du Berlais is the 9/2 favourite. Fourth in the Martin Pipe last year and although his last outing when sixth seemed to be a plan to get into this race, I’m not convinced with the reminder of his form. First Assignment (12/1) has a very good profile, including a win at Cheltenham last October in a Class 3 hurdle when 9/2f. This is in my view the best Ryanair yet and one of the proper highlights of the week. I was all against Footpad** (7/2 > 5/1) as a result of what has been a disappointing season, particularly given the heights reached last season. However, he was running well at Leopardstown when headed by Simply Ned in the Grade 1 chase on 27 December, having reportedly suffered an overreach when falling the previous month. I’m willing to take a chance that he’s back to his best, in which case he wins. Road To Respect has attracted a lot of support and is current favourite at 7/2. A previous Festival winner (Brown Advisory Plate) in 2017 and fourth in the following year’s Gold Cup, this season he has won the JN Wine Champion Chase at Down Royal and ran well in the Savills Chase and the Irish Gold Cup at the Dublin Racing Festival so he clearly has a leading chance. The same can be said for Monalee (9/2), who has excellent credentials, second to Presenting Percy in last year’s RSA and won the Grade 2 Red Mills Chase last month over 2 1/2 miles which appears to be his ideal trip. They are both leading contenders and potential winners. Un De Sceaux was second in this race and won in 2017. Although the ground will undoubtedly suit, I think that this is a step too far for the hard-campaigned 11-y-o (although I ‘d be delighted to be wrong!). Another 11-y-o, Faugheen, is now the unlikely second favourite for this race at a fast contracting 7/2. For me, it takes a big leap of faith and you have to attach a lot to his defeat of last year’s winner of this race, Penhill, in the Punchestown Stayers’ Hurdle last April, when many thought that he was not faced with the toughest of challenges. Paisley Park***** (2/1 > 7/4) is a horse that I’ve followed all season and has impeccable credentials for this race. He’s my only five star selection of the day and I’m looking forward to a dominant victory. Siruh Du Lac** (13/2) is one that I picked some time ago for this race. Posh Trish**** (13/2 > 6/1) is my second best of the day and represents really good value. Measureofmydreams* (9/2 > 7/2) appears to have been plotted for this one and featured in all the Irish previews that I saw. First, hot off the press and disappointingly, Elixir De Nutz is lame and has been ruled out of the opening Supreme Hurdle on Tuesday. I might have a small bet on Vision D’honneur but only to have an interest. On to Wednesday and the main news is that, although Santini is declared, Nicky Henderson sounded in a TV interview that he is far from convinced that he will run. I wouldn’t have been selecting him anyway and all the more so now. The weather forecast is dreadful and if the winds are as strong as predicted, it’s not out of the question that there may be a repeat of the 2008 abandonment which succumbed to high winds which made the course unsafe as a result of the risk of damage to temporary structures and advertising boards. For reference, the wind speed that day was 50mph. According to the Met Office, the wind on Wednesday is forecast to reach up to 49mph at midday and 43mph at 3.00 p.m. Let’s hope it goes ahead. I don’t have a particularly strong view about this race. According to the betting it’s a head to head between Champ (5/2) and Battleoverdoyen (100/30). I’m going with the latter. Gordon Elliott has a very high opinion of him. He’s unbeaten and won a Grade 1 well last time out in January. He’s yet to prove form on this likely ground but I suspect it might be a benefit (Elliott pulled him out of his intended race at the Dublin Racing Festival on account of unsuitable good ground). As mentioned above, I can’t have Santini (100/30), given the interrupted preparation and questions about his wellbeing. Topofthegame (100/30) has been beaten by two top class horses this season in the shape of Defi Du Seuil and La Bague Au Roi, but last won a Grade 3 hurdle as long ago as February 2018. My idea of the winner is Delta Work (15/8), a fine horse, unbeaten in three outings this season (including two Grade 1s and a victory over highly rated Le Richebourg). He won the Pertemps on soft ground at the Festival last year and should have no problem staying in what is likely to be an even tougher race than usual. Just a quick each way selection in this one and it’s Bleu Berry (20/1), winner of this on soft ground last year and not disgraced when fourth in a Grade 2 and third in the Grade 1 Punchestown Champion Hurdle. His only outing this year was when very highly tried in the Galmoy Hurdle at Gowran (seventh behind Presenting Percy). Looks well primed for this one. Tiger Roll (6/5) was very impressive when winning the Grade 2 Boyne Hurdle in February. He was not expected to do anything in that race and went off at 25/1. He appears to be in rude health and this Grand National winner should repeat last year’s victory. Of the others, course and distance winner Urgent De Gregaine for French trainer Emmanuel Clayeux is a very fair price at 14/1. Just a quick selection and it’s favourite (sorry) Band Of Outlaws (13/2) for Joseph O’Brien. This one was well talked up in the previews. In my February preview I identified Envoi Allen (100/30) as a serious horse. Gordon Elliott said that he’s one of the two or three best in his yard and that’s good enough for me. Here we are at last! The Festival is about 40 hours away as I’m writing and, as ever, I can’t wait for the feast of racing that will keep me fully occupied for the next five days (including Cheltenham Eve!). First things first – the weather. As I mentioned in my post at the end of February, the ground is a massive factor and Accuweather pretty much nailed it in terms of the forecast. Clerk of the course, Simon Claisse, is currently predicting soft ground for day one and, based on the hailstorm that I’m watching as I’m typing this, I’m expecting that it will be nearer soft to heavy rather than good to soft. That makes a massive difference. For a normal Cheltenham you need horses that stay, because of the pace of the races and the hill. On soft ground that is even more to the fore and, with a major storm and 50mph winds forecast for Wednesday, could be even more important later in the week (Un De Sceaux and Native River immediately spring to mind). It’s a time to be cautious about graduates from the flat, and to favour National Hunt bred horses and particularly those from France, which conveniently suits my favoured profile! 5/1 the field is an appetising starter for the first of 28 races and here are my views about the leading candidates. Yet to be beaten over hurdles, he was an impressive winner of the Betfair Hurdle at Ascot on 16 February, but he didn’t beat much. This is good handicap form and he might be seen as following in the line of Kalashnikov, a similar handicap winner before going close in this one last year. His previous outing was in a Class 3 on the new course at Cheltenham (old course this time) and, again, he didn’t beat much. He’s been declared without a hood (which he’s worn on his previous outings) and, when asked today about it, jockey Sam Twiston-Davies said that they’re going for ear plugs instead. An odd selection for the hubbub of the Festival. Not for me. This is definitively not one for me. Much hyped (no doubt because of the trainer/owner combination – Henderson/Dai Walters), his much delayed follow up to the Grade 2 Kennel Gate at Ascot in December (when four of the eight hurdles were omitted) was when he was beaten by unheralded Southfield Stone in the Dovecote at Kempton on 23 February. Some have said that he was unsuited by the good ground and fast track but I think that’s more about wanting to believe rather than analysing the cold facts. Currently attracting support, this winner of a maiden hurdle at the Leopardstown Christmas meeting followed up with a victory by a head over my selection of the day Aramon at the Dublin Racing Festival on 3 February. I was there and felt that this one is not top class. To be fair, much vaunted Vision D’honneur was third but I’m not convinced that soft ground at Cheltenham will suit. An impressive winner of the Triumph Hurdle Trial on the new course on good to soft ground at Cheltenham on 26 January, again not beating too many good ones (second was 25/1), I thought that this one would be one of my Festival favourites. However, it’s pretty obvious that this 4-y-o (no 4-y-o has won this race for 20 years) is turning up here because another JP horse (and possibly most backed of the week), Sir Erec, is the favourite for the Triumph. Could run a screamer but I doubt it. And now on to my selection, the well-campaigned and highly exciting Elixir De Nutz. I’ve followed him throughout the season to date. Beaten on his seasonal outing in a Class 3 over the course by Thomas Darby, he’s not looked back since. Won the Supreme Trial on the old course on 18 November, followed up (on the old course) on 14 December and won a good Tolworth on soft at Sandown on 5 January. Hard as nails and will win. 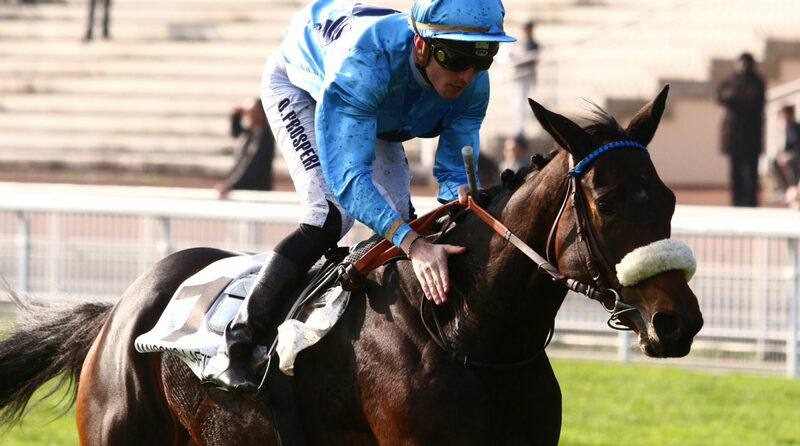 A good French horse but beaten by Elixir De Nutz. Subsequently won the Kingwell at Wincanton but I don’t see him reversing the form with my selection, particularly on the ground. This is much more open than recent renewals but, again, I have a firm selection. This is exceptional value. Sometimes (quite rarely) you see one horse break another’s heart and that is exactly what I saw when this one beat 1/4f Kalashnikov at the relocated Kingmaker at Sandown on soft on 15 February. Admittedly it was a three horse race and the third made up the numbers but this was a majestic jumping performance for a novice, in a style very reminiscent of Footpad last year. 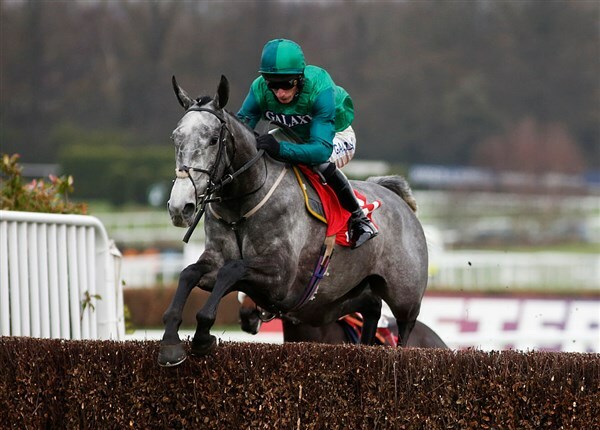 Put simply, he is this year’s Footpad and my bet of the day. This one has stormed up the betting since being highlighted in several Cheltenham previews. I think that he’s the best of a moderate Irish bunch and being put up precisely for that reason. I watched him being comprehensively beaten by La Bague Au Roi in Dublin on 3 February and I just don’t get the hype. Unlike the first two, I don’t have a strong view about this race. Current favourite Give Me A Copper (11/2) for Paul Nicholls was well beaten last time out on soft ground at Sandown. Minella Rocco (8/1) will never be a selection for me. Mister Whitaker (also 8/1) won the Close Bros Novices last year and I think that is the only reason why he is towards the head of the betting. I’m going to rely on what I’ve heard in the preview nights (and from Barry Orr today) and have an each way on Lake View Lad at an appealing 20/1. 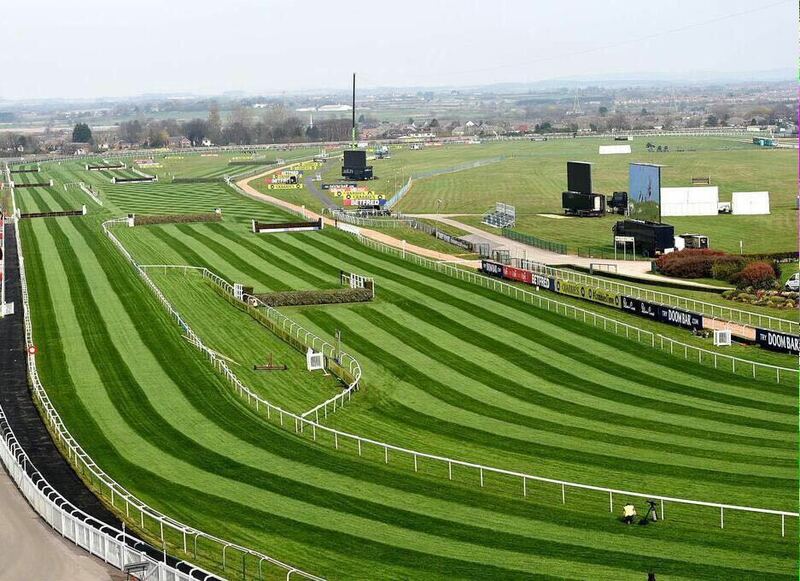 Other each way options are Beware The Bear (20/1) and Royal Vacation (soft ground stayer – 25/1). This is the best Champion Hurdle for years and is between the first three, with one notable outsider. Ignore her run in the Mares’ Hurdle last year – she was in season and obviously didn’t run to form. She will not be in season this year (I have no idea how or why that is the case but that’s what I’ve heard!) and her form, that run aside, is impeccable. Looking for a third consecutive Champion Hurdle, whether you like him or not, I agree with Matt Chapman that the last two were by no means classics. He only beat Melon by a neck last year and the defeat at the hands of Paloma Blue in the Christmas Hurdle in December was significant. This one is often mentioned in the same breath as the other Henderson star Altior but the Champion Chaser is a significantly better horse. Unbeaten since transferring from Guillaume Macaire to Willie Mullins in November 2017 and with (mares only) winning form on soft and heavy, she could be a very good horse. However, I’m inclined to attach an awful lot of weight to jockey Ruby Walsh’s one line assessment of her, that “she’ll need to improve”. Although I don’t see this one as a winner, the profile is great (unbeaten this season in three Grade 3s including the Limestone Lad last time out) and I could easily see him running into a place in what is currently a 10 runner race. I see this as a head to head between Benie Des Dieux (5/6) and Lady Buttons (9/1). In the absence of the main challengers (Apple’s Jade and Laurina) this is an easily winnable race. I selected Benie Des Dieux last month and I see no reason to change. She won this last year and the form of Lady Buttons is just not quite good enough. I was a big fan of Stormy Ireland last year but she didn’t live up to expectations. One for a place at 50/1 is Alletrix. I have no interest in this race whatsoever, but will mention that in the preview nights there was support for Tower Bridge (8/1) for J P O’Brien. Although trained by Nicky Henderson and ridden by Derek O’Connor, I really don’t like current favourite Ok Corral (3/1). The form is at best dubious, although I realise that could be a plot. I have been reluctantly convinced by several pundits at Cheltenham preview nights that there is perhaps a better plot in the shape of Discorama (7/1) . The difference with this one is that he ran into a good fifth in the Grade 1 Drinmore (beaten by among others Delta Work and Le Richebourg) and has never run over anything like this distance. He also has form on yielding, soft and (to a lesser extent) heavy. An accumulator will deliver 221/1 and the Lucky 15 £622 so a £2 accumulator and £15 Lucky 15 delivers a potential maximum of £1067. Good luck!! All of what follows is, as usual, subject to the ground! We’ve had a very unusual season with good and good to soft featuring pretty much throughout. Perhaps the biggest bet for the week as matters stand is what the going will be, and it could have an enormous bearing. 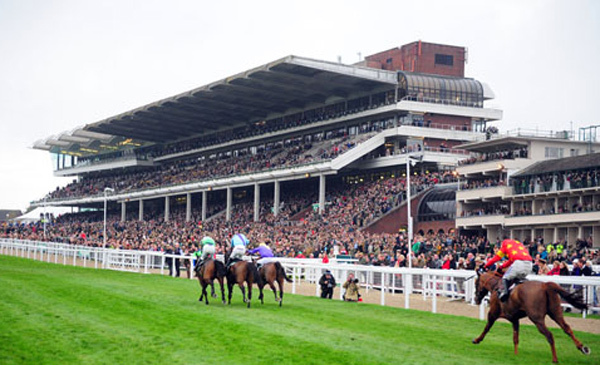 For holidays I’ve tended to rely on Accuweather and they are predicting that six of the twelve days at Cheltenham between now and the start of the Festival will feature rain, plus more of the same on the first three of the four days of the Festival itself. If that’s right then much of what follows will be pointless! Al Dancer (3/1) is the right favourite and could be a top horse. The Betfair Hurdle win was an ideal prep. Fakir D’Oudaries (6/1) proved his credentials in the Triumph Hurdle Trial at Cheltenham on 26 January. However my early selection is Elixir De Nutz (8/1), with Grade 1 form in the Tolworth that has stood up really well. Le Richebourg would have been my selection until his unfortunate setback. I can’t have current favourite Defi du Seuil (5/2) and I’m torn between Lalor (11/4) and Glen Forsa (4/1), the latter being also entered for the JLT so that might help. Lalor requires a leap of faith after being beaten fair and square by Dynamite Dollars, who subsequently beat not much in the Lightning at Doncaster. Albeit that it was a match, Glen Forsa was mightily impressive when beating Kalashnikov on soft ground and could be a very good horse indeed. I’m going to oppose Buveur D’Air (2/1) and side with Apple’s Jade (15/8) with the mare’s weight advantage, but won’t be surprised if the other mare, Laurina, overpowers them both. It’s 10/1 bar the three which seems right. On the assumption that Apple’s Jade and Laurina will go for the Champion Hurdle (by no means certain), Benie Des Dieux (evens) will be my bet of the day. One of the bets of the week is deserving favourite Santini (3/1), for whom this race should be absolutely ideal. It’s a grinder for the novices and this one has the perfect combination of quality and stamina. I can see no reason whatsoever to oppose Altior (4/9) and suspect that he will face a small field of others who he has comprehensively beaten or who have no chance. A crowning glory before being tried at longer distances (hopefully), notably the King George. 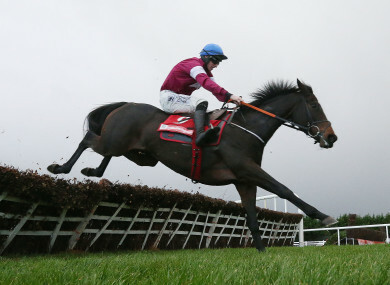 Tiger Roll demonstrated his rude health with a dominant victory in the Grade 2 Boyne Hurdle at Navan on 17 February. I can see no reason to oppose him and the current evens on offer will surely be much shorter on the day. I wouldn’t normally be considering this one at this stage but Envoi Allen (3/1) looks to me like very good value for what is almost certainly the horse of the year in this division. Assuming good health, I see this one being a major player in all the main races in years to come. If Glen Forsa (6/1) turns up here, I think that he wins. Alternatively, I like Camelia de Cotte for Mullins/Ricci at an appealing 14/1. Min (5/2) could win this if he turns up but I doubt that he will. Frodon (6/1) should run at this ideal trip, rather than the far too long Gold Cup and if he turns up then, subject to Min’s absence, will provide Bryony Frost with her first Festival Grade 1. In the unfortunate absence of Penhill, this is an easily winnable race and provides my bet of the week in the shape of the admirable Paisley Park (15/8). The emerging horse of the season in my book and one with a very exciting future. Again, like the Champion Chase, this could end up being quite a small field. Don’t forget that I mentioned a couple of weeks ago that it’s not inconceivable that Presenting Percy could turn up here instead of the Gold Cup. He’s still available at 12/1 with Betfair and 2/1, non runner no bet, with Sky Bet. A big conspiracy theory I know but, given the quirky preparation, not out of the question. I wouldn’t normally mention this race at this stage but current favourite Siruh Du Lac (8/1) should be half that price. An outstanding candidate. Another race I wouldn’t have expected to mention now but I’m very keen on race hardened and impressive Posh Trish, at a very appealing 15/2. Everyone in Ireland seems to think that Sir Erec (6/5) is the banker of the week. However, I prefer proven National Hunt types in this race and I’m delighted that Quel Destin, who has served me very well throughout the season to date, is currently 8/1 and represents my first bet placed. By the way, that’s an outstanding each way option. Well, if Presenting Percy (7/2) turns up then he wins, assuming that the ground is as usual, and probably even if it’s not. If it’s not (i.e. soft or perhaps even worse) then Native River (11/2) has a fair chance to follow up on his victory last year. That’s pretty much it. Kemboy doesn’t jump well enough. Clan Des Obeaux won’t stay the distance up the hill (particularly on the likely softer ground, but may do subsequently). Bellshill is a good horse but not a prospective Gold Cup winner. Might Bite can’t be supported this season. Of the rest, I wouldn’t be shocked if Invitation Only (25/1) runs a screamer and is definitely a candidate as an each way shot. Recent pointer Stand Up And Fight, owned by J P McManus and trained by Enda Bolger, is the big talking horse and current favourite for this race at 3/1. As a 7-y-o he could be absolutely anything. My preference is currently for two proper campaigners, Ucello Conti (4/1), a very taking winner of the Navan hunters’ chase against good opponents on 17 February, and my current selection, Road To Rome (6/1), a superb winner of the Walrus at Haydock on 16 February, whose form following wind surgery is 24321111111. This will be former winner’s Pacha Du Polder’s last race so I’m just hoping for a safe round for that one. Another that I’ll keep an eye out for is Shantou Flyer (7/1) who appears to have found his metier with new owner and man of the Hunters David Maxwell. There will be lots more to follow in the run up to the Festival with the huge benefit of 48 hour declarations. So, first, a little rant about how rubbish BT are. I was really looking forward to doing a big preview about tomorrow’s excellent racing. However…near to a main city, I’ve had no internet connection since mid-morning. Their diagnostic tool didn’t work because, surprise surprise, the internet connection wasn’t working. I would pay in an instant for high speed internet but, after years of them telling me that the local exchange (Claughton) is fibre connected, it isn’t available. As of right now, according to Openreach, they “don’t have a plan for my area yet”. Apparently I’m in Wirral District B and, according to their schedule the availability is “now”, except that it’s not. What a complete shower. So, after that, on to the racing. However, on TV (when it was working), I did see Kalashnikov well and truly beaten by Glen Forsa in the Grade 2 Kingmaker Chase. I’m afraid that the inevitable conclusion is that Kalashnikov was battered by the winner who, having been a Close Brothers’ candidate is now well beyond the 0-145 eligibility (was 138 and wouldn’t have got in on that). Unsurprisingly, the cards reveal that not all the great head to heads have materialised but there is still some decent fare. The most notable absentee is Presenting Percy from the Red Mills Chase. I’ve been watching Twitter all day (on my phone) and the strong message is that the horse is 100% well and might run next weekend. Trainer Patrick Kelly is notoriously uncommunicative and, although I can’t claim credit for this, I love the conspiracy theory that, at 12/1, he is an absolute shoe in for the stayers’ hurdle! It’s a great shame that Santini isn’t running this weekend because, like many others, he didn’t have a flu jab in time. However, he remains 3/1 favourite for the RSA. So, on to tomorrow, and in light of the technical problems, just the selections. Coup de Pinceau (10/1) although Top Ville Ben (11/4) is respected. This is a gift for Clan Des Obeaux (4/11) to follow up on his King George win. To be included in all permutations. Al Dancer (11/4) is a very good horse but I think that Getaway Trump (also 11/4) is a star in the making. For all that this is a great day of racing, this is the only Grade 1 and the highlight of the day. I’m against Waiting Patiently and strongly with Polititologue at a very appealing 3/1. A friend of mine rates Aso at an also very appealing 12/1. I really like this race as a prep for the big one and I’m delighted that the best British candidate, Quel Destin, has turned up. I think that he will definitely win at 10/11 and will shorten on the day. In fact I have just placed a substantial win bet so let’s hope that it is a good start to the day! I wouldn’t have highlighted this race were it not that I really like French listed winner Laskadine (15/8 – watch the price) for Nicky Henderson and J P McManus. Don’t back Yanworth. This one was entered in all sorts of races and I don’t think that they know where to go. Beware of this one because it’s all about qualifying, i.e. within the first six. A definite non bet option. Be very wary! These races are often treated not as trials but as objectives in themselves (£100,000 race). The best horse in this type of race is Wakanda but, unless I’m awash with money after the earlier races, I’ll be giving this one a big swerve. Now, we have a proper candidate in the shape of Kateson (7/4). My second favourite of the day. Also a bet placed. This one tends to throw up a serious Cheltenham candidate. Pacha Du Polder is an obvious candidate but Road To Rome could be the Cheltenham winner this year. Maybe more will follow but it’s now 23:24 and I’m going to have a time out! After the great flu shut out is a great extended weekend of racing, starting tomorrow with some decent runners at Kelso, albeit at short odds. Ones to watch are Dream Du Grand Val (1.25 4/7f), We Have A Dream in the Morebattle (2.25 4/9f), Definitly Red in a match with Captain Redbeard (3.00 1/7f) and Shantou Flyer against more suitable company in the hunters’ chase (4.10 1/2f). The feature at Clonmel is the 2.40 Grade 3 3m novices’ hurdle, featuring a number of Ballymore and Albert Bartlett entries. All the main yards are represented including Willie Mullins (Allaho 5/1), Henry de Bromhead (Capuccimix 9/2), Gordon Elliott (Swordsman 5/1) and Noel Meade (Eurobot 12/1) plus several second strings. It’s far too competitive for a bet but a decent candidate for Cheltenham could well emerge. Friday is likely to see Kalashnikov at Sandown in the rescheduled Grade 2 Kingmaker Novices’ Chase and Posh Trish in the Grade 2 novices’ hurdle, as well as Rathlin Rose off 12st 10lbs and, after 593 days (439P), Keltus, 15-y-o Pete The Feat and, for Ben Pauling, the very consistent Carlos Du Fruitier, all entered in the Artillery Gold Cup. Saturday is spectacular with 10 races on ITV including another Irish race live on terrestrial TV, the Grade 2 Red Mills Chase from Gowran, featuring Gold Cup favourite Presenting Percy (4/6f), Monalee (9/4), Bachasson (7/1), Anibale Fly (8/1) and Killultagh Vic (8/1). There’s also a Grade 3 hurdle with entries including Farclas, Forge Meadow and Coeur Sublime, as well as an interesting beginners’ chase. Haydock includes the Victor Ludorum Juvenile Hurdle with entries including one of my current favourites of the season, Quel Destin, the Grade 2 Rendlesham Hurdle with Yanworth and If You Say Run, a Pertmeps qualifier including Blaklion, and a number of other familiar names, the Grade 3 Grand National Trial which could be an absolute cracker and a Grade 2 novices’ hurdle, plus one of the notable pre-Cheltenham races, the Walrus Hunters’ Chase. Wincanton features the Grade 2 Kingwell Hurdle, which also looks like it could be a top race, although many of the candidates hold multiple entries. And then we have the unparalleled nine race card at Ascot. I’ve listed the main races with notable candidates. Grand Sancy, Mont Des Alavoirs, Getaway Trump, Al Dancer and one at an outside price that I’ll keep up my sleeve until the declarations are out! Cyrname, Fox Norton, Politologue and, at last (appropriately), Waiting Patiently. And if that wasn’t enough, there are two Grade 2s at Navan on Sunday. What a weekend. It’s fair to say that the Cheltenham picture is likely to be very much clearer in a few days. My schedule? Get the jobs done on Friday morning and settle down with a few real ales for a feast of racing! CLB Employment Solutions The perfect HR and employment law solution for SMEs.